The Rugby Festival of Culture 2018 is under way, and my part in it is twofold. Along with many other artists, I have one of my paintings displayed in a shop window. a marvellous window dressing in colours to complement my painting. 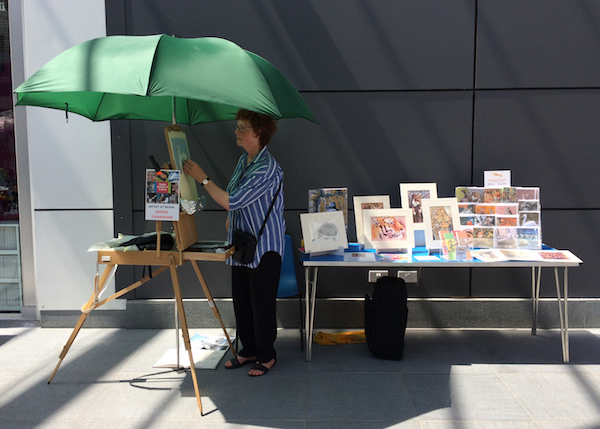 demonstrating in pastel drawing - part of the "Artists at Work" feature. them and explain my work, and received many favourable comments. but luckily my trusty parasol kept off the worst of the sun.